Order Now & Get It Before Christmas!!! That's right! Christmas is only 8 weeks away and the TAW Shop is already promoting Christmas Savings. I mean really...who doesn't like saving money and getting their Christmas shopping done early? 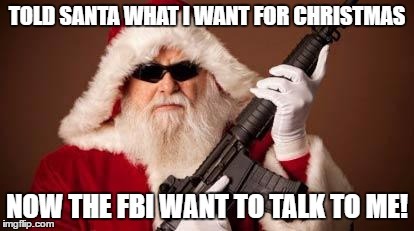 Not to mention avoiding the congestion, whining kids waiting to see Santa, finding out that when you looked down at your own whining kid some lady ninja'd you and took that last Sailor Moon Pop figurine that you were planning on picking up you wife because she really wanted it and now you want to go WWE all over them to get it back.....sorry, still a little salty over that last year. So moving on to happier notes, this is an awesome savings event. I'm talking about saving 18%!!!!! Here's just a few of the items listed under "Seasonal" on the TAW Shop. But don't feel that you need to buy yourself a "Christmas Design". Head on over and get yourself that sweet hoodie/t-shirt/baseball hat that you've been wanting. Nothing wrong with buying yourself something and then putting it under the tree labelled "From Santa", just remember to act surprised as this guy when you open it. So, now that's you've gone and parused the Shop and planned out what you're gonna order, you probably want the details. Fine, here they are. SOCOP wants to thank all the teams who participated in this event, once again this event proved to be great success and was enjoyed by all. These types of events are great ways to bring members together from all over the TAW Community and we look forward to bring many more in the future. 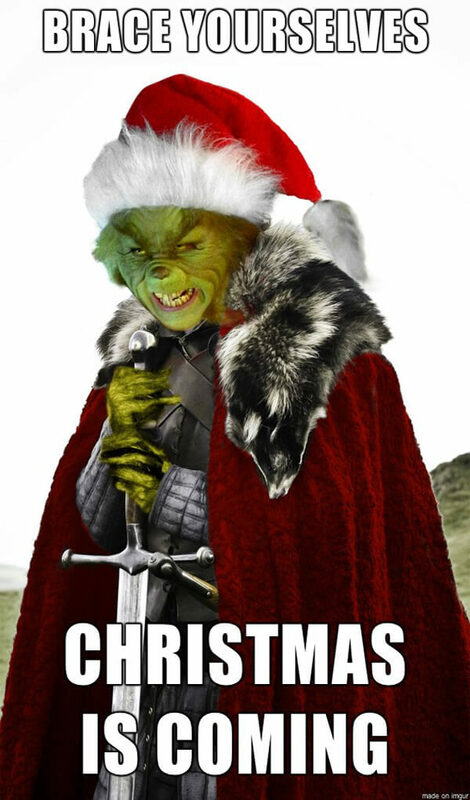 I want to start by apologizing for not having this up yesterday, My meme supplier got stuck in traffic and was unable to deliver until today. The title clearly and boldly states, that there's some free shipping going on over at our TAW Shop. Now normally I'd flare up this entire post with some amazing meme's, I'd make everything sparkle....yup, still gonna do it. 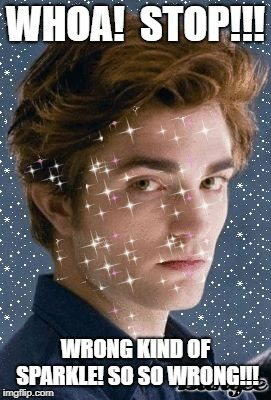 Ok, so my sparkle programs are apparently having issues loading, so we'll just cut right to the awesome deal section. 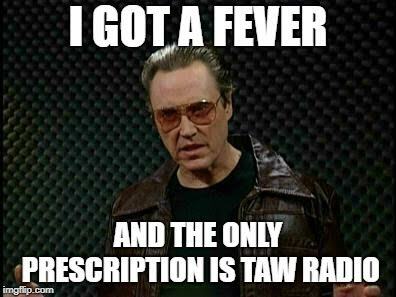 So drop what you're doing and head on over to TAW Shop to score yourself some free shipping on some awesome TAW Swag. It's your friendly SOCOP 2SO here with some great news for our wonderful listener base. Our first official broadcast date is going to be on November 5th. I hope you are all as excited as we are to provide you with our inaugural event for the rebroadcast of radio. Stay tuned for more details and time of official broadcast in future posts. If you have any questions regarding radio's relaunch please email me at timewarp1248@gmail.com and I will answer them as best as possible. I hope to see you all at our official relaunch. 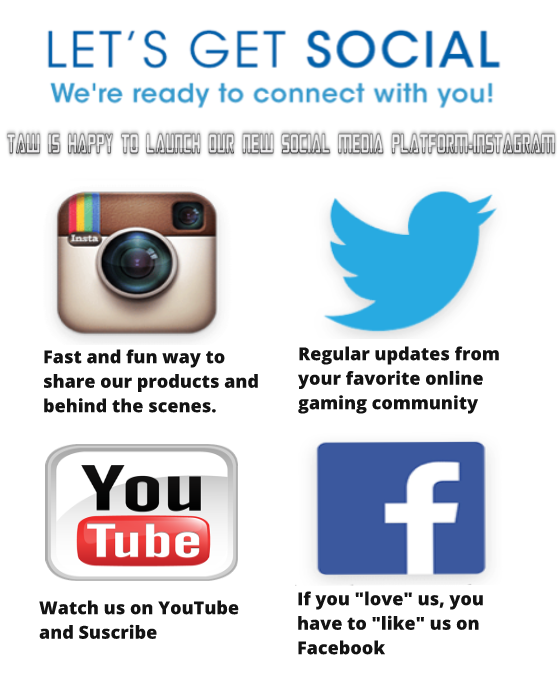 Social Operations is in need of two (2) dedicated individuals to head our Video Development Department. These individuals would be required to to transfer to Operations/SOCOP and have medium to advanced skill sets in video editing,design. We seek highly motivated and dedicated individuals with minimum of 1 year in TAW. (this can be waived for right individual.) SOCOP can offer you excellent flexibility within TAW, as we have very limited mandatories and your ability to move about Teamspeak and play your favorite games is encouraged. If you like to be a part of a tight knit group and be a team member. please contact me at: Albenji@taw.net with your question or set up an appointment in Teamspeak. If you have a TBC next to your team name, that mean's you have yet to submit a proper tournament name for your team. Please let me know your team name by posting here on the forums. 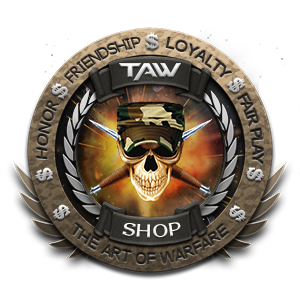 The Fall 2018 TAW@WAR is about to begin! Be ready to dominate 27 October (EU @ 20:00 CEST) (NA @ 8:00pm CST). 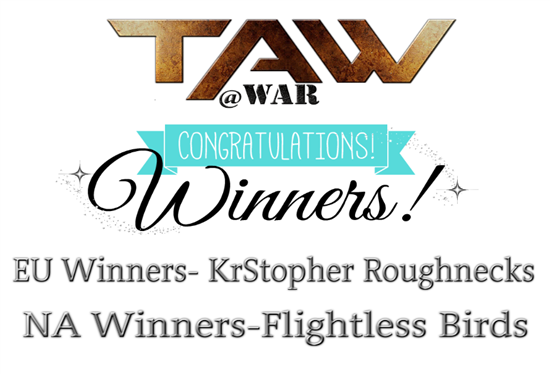 This year we are fortunate enough to have two simultaneous TAW@WAR’s - 1 EU & 1 NA. That's right… you officially have no excuse to miss this event! This fall, the selected game is…Black Squad! Black Squad is a military first-person-shooter game using the Unreal Engine 3 to show realistic graphics and dynamic visuals. Absolutely no Pay-to-Win. The event will be streamed on twitch.com/TAWTV. Teams are divided into a 5v5 single elimination matches in a bracket style; which means the team that wins best 2 out of 3 will move on to the next round. The Team or Solog sign-up is NOW OPEN. PREMIUM items or upgrades are not permitted during the tournament. 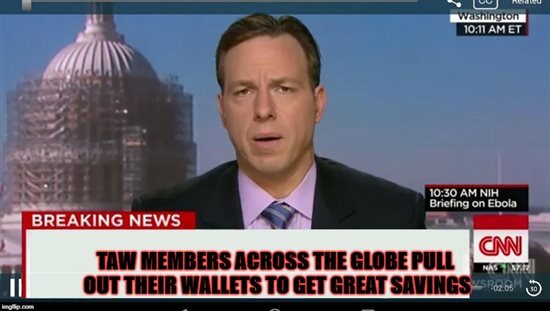 The Meme King has returned yet again to bring you some great news. 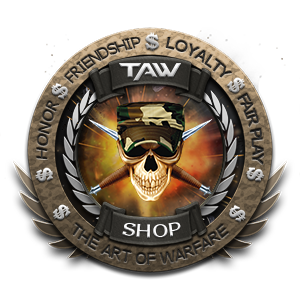 That's right, break out those wallets, blow the dust off your credit cards, because TAW Shop has some awesome savings for you right now. 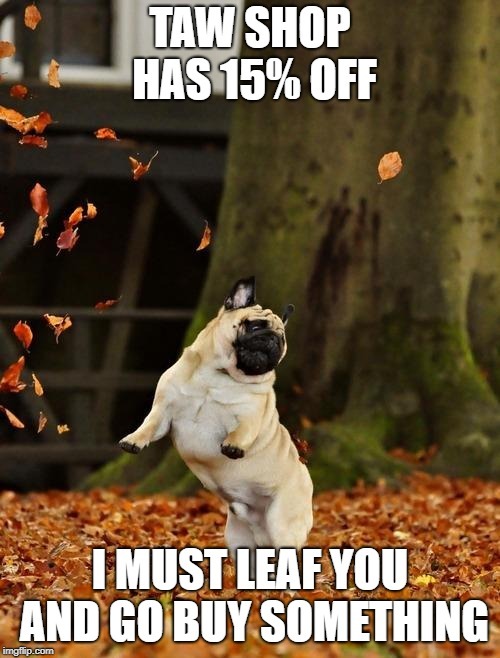 So hurry, because it's a limited time offer! Update from Operations: We ARE working on building a TAW Discord to use ALONG SIDE Teamspeak. Also note that Teamspeak has a new version coming out this 4h qtr 2018 [Teamspeak5]. In addition please note that with Discord and potentially Teamspeak5 the bot [which connects TS with the website databases] won't work. This is something we've discussed and are working on as we speak and are well aware of the limitations of recruiting and the current version of TS as well as the security/connection issues with Discord.